Mobile home, 4 - 5 people, 3 room/s, 2 bedroom/s, 1 bathroom/s, approximately 28 m², 1 floor/s. Air conditioning if required, € 6/​day. Holiday resort tax. Linen/towels must be brought along. Bed linen available on loan, € 10 per person/​change (on order). Towels available on loan, € 5 per person/​change (on order). Deposit € 50 (in cash). Extra bed € 10 per day (on order). Cot only within the maximum occupancy, € 25 per week/short term stay (on order). High chair € 25 per week/short term stay (on order). Pet 2 animals allowed, € 35 per pet and week/short term stay (please advise prior to arrival). Estate (shared use with holiday guests): approximately 10 ha, trees, natural surroundings, lawn. Pool (shared use): 25.0 x 12.5 m, 25/05/19-15/09/19, children's pool. Sports facilities/ leisure time: shared use (free of charge): volleyball, multi-purpose sports track, bowling/boccia, table tennis table, children's playing equipment. Entertainment: included: sport animation (approximately July/August). Day care: included: animation for children, children's club (approximately July/August). Infrastructure: Payment: safe for rent. Bar/cafe, restaurant, snack bar, food shop; half board (dinner), full board, all inclusive: payment and request on-site. Plot description: 1 x parking on the estate; parking near the house. Terrace 12 m² (roofed), furnishing provided. The agent describes this apartment as an ideal holiday rental for the summer holidays. It is also good value for money. 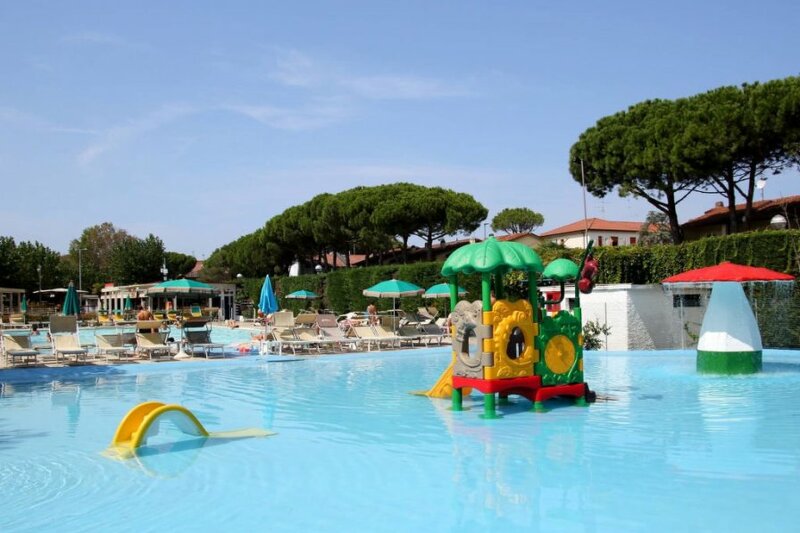 This apartment is located in Lido DI Dante. The nearest airport is 99km away. It is set in a very convenient location, just 0 metres away from a beach and only 200 metres away from the city center. The apartment is adequately equipped: it has air conditioning.